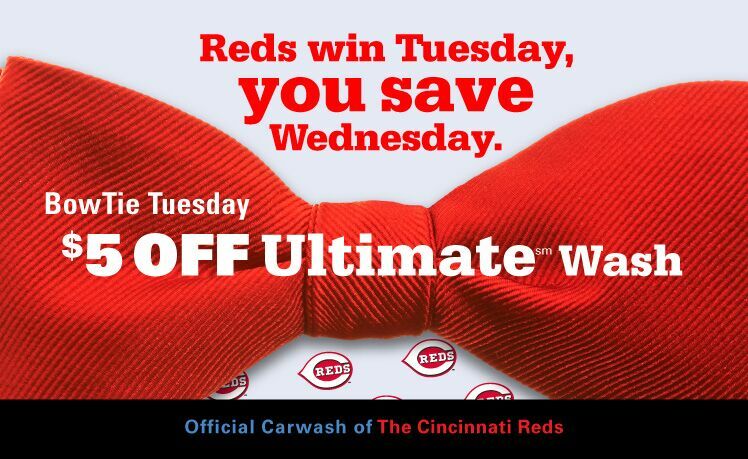 Mike's will also donate $1 to The Reds Community Fund for every Ultimate Wash purchased on the Wednesday after a Tuesday Reds win. The Reds Community Fund has been connecting underserved kids to baseball and softball since 2001. Join us for BowTie Tuesday all season long! Wear a bowtie on every Tuesday and show your BowTie Tuesday pride during the 2019 Cincinnati Reds season!